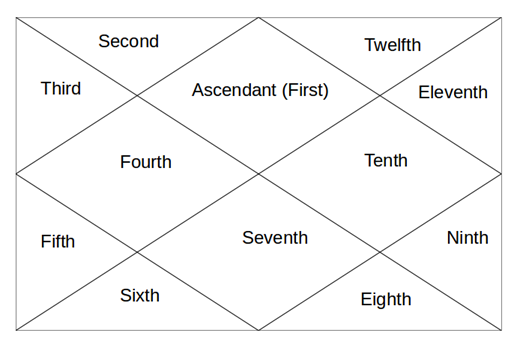 So finally, we arrived at the conclusion of our 1st chapter of Basics of Astrology. Twelfth House may be the last house of our horoscope but it is certainly not least. This house is somehow combination of Eighth & Ninth House. Let's see what all it keeps within itself. 1. This is basically a house known as House of Losses, but it is not only monetary losses. Loss here also means where you lose your energy. It also means the places where you go and feel lost. So, following are our places of loss. 2. Religious places, as we go there and we lose our will. We have to follow the rules and regulations of those places. 3. Foreign Lands, as we go into foreign lands and we don't know what to do? For every little thing, we need someone's guidance. 4. Hospital, as we lose our will there too and follow the guidance of medical staff. 5. Jails, on similar lines. 6. This is also a house of secrets. As it is 5th from 8th house of secrets, it represents education of secrets. 7. As it is house of losing self, it also becomes the house of Spirituality. Karaka of 12th house is Saturn. @ Vishal - as it is the house of sub-conscious mind, it becomes house of dreams and sleep, hence bed pleasure. it is also 5th from 8th house of sexual activity, which means happiness of sexual activity. Sir i read so many times in the books that 12th house is also represent your BED COMFORT. Sir please (humble request) can you explain why most of the astrologer are using 12th house on the question of marriage or physical relations?